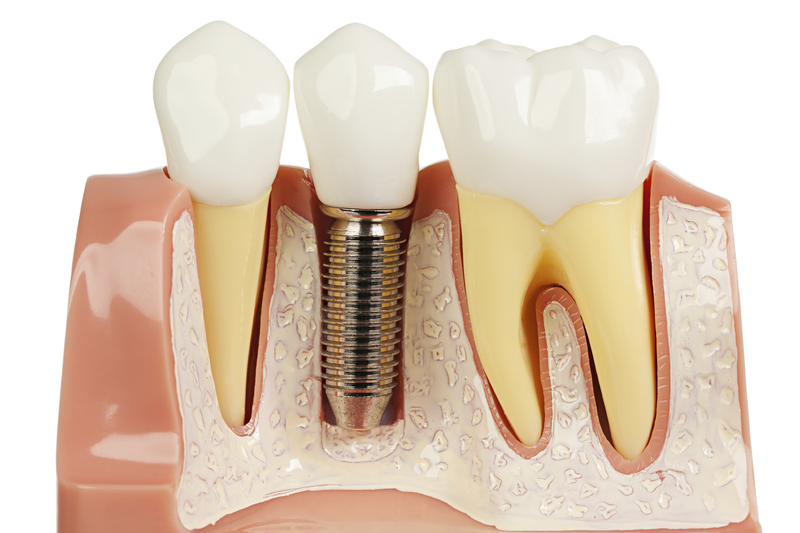 During the last twenty-five years , the use of dental implants has become more widespread, and the associated technologies more advanced, bringing about a new standard for tooth replacement. As a standalone option for tooth replacement, dental implants are commonly thought to maximize durability, functionality and comfort for the patient. Dr. James B. Troxell is a board certified oral and maxillofacial surgeon in Fort Collins and is experienced in placing implants. Dr. Troxell’s approach to implant-based restoration is highly comprehensive and patient-specific. Using 3D-imagings (x-rays) and impressions, Dr. Troxell first assesses the long-term viability of implants as a restorative option for the patient. In some cases, Dr. Troxell may use bone and tissue grafting techniques prior to implant placement. Dr. Troxell uses titanium implants manufactured by industry-leader, Nobel Biocare. An oral examination and a medical history evaluation is done prior to the procedure. Generally the implant is allowed to heal 4-6 months before placement of the crown restoration. The treatment is coordinated with the restorative dentist or prosthodontist. Patients who would otherwise wear full dentures (either on the upper, lower, or both arches of the mouth) have a viable alternative thanks to dental implant technology. The All-on-4 restoration method uses four or more dental implants to secure a full denture in place. Placement of the prosthesis (denture) is done at the time of the multiple dental implant placement.